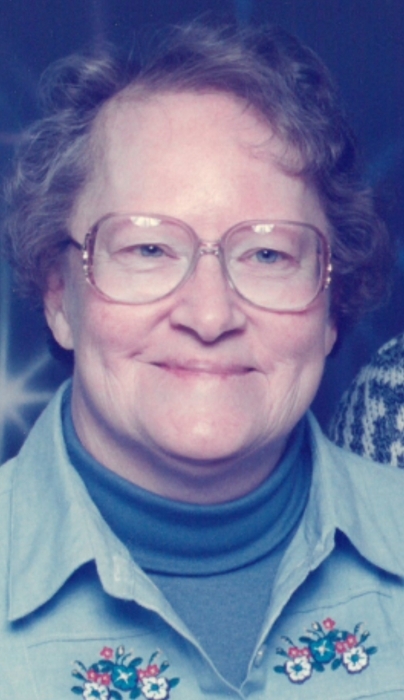 Evelyn L. Wagner, 82, of Saint Marys, died 12:15 A.M. Monday, January 21, 2019, at Grande Lake Health Care Center. She was born July 24, 1936, in Moulton, Ohio, the daughter of Adrian and Pearl (Elmers) Engel. She married Elmer Wagner on February 18,1961, and he preceded her in death on December 15, 2003. She is survived by her daughters: Jane (Joe) Vanover of Saint Marys; Judy (special friend Russ Langston) Wicker of Saint Marys. She is survived by her grandchildren: Monica (Josh) Shreeve of Salamonia, Indiana; Cathaline (Josh) Chisholm of Fort Wayne; Henry (Pam) Wicker of Saint Marys; Bud (Shaun) Vanover of New Bremen; Cierra Vanover of Saint Marys. She is also survived by her great-grandchildren: Michael Vanover; Dane Chisholm; Evelyn Chisholm; Levi Wicker; Beau Shreeve; Wesley Vanover; Darby Vanover; Emily Vanover; Hannah Vanover; Matthew Vanover. She is survived by her siblings: Robert (Shirley) Engel of Wapakoneta; Carolyn (Donald) Henschen of Saint Marys; Dorothy (Richard) Krites of Saint Marys. She was preceded in death by her parents; husband; by her siblings Marie Heintz, Ruth Lange and Harold Engel; by her sister-in-law, Barbara Engel; by 3 infant grandsons. Evelyn was a 1950 graduate of Wapakoneta High School. She was a homemaker, and she loved spending time with her family. She was a member of Trinity Lutheran Church, Moulton. Funeral rites will be held 11:00 A.M. Saturday, January 26, 2019, at the Miller Funeral Home, 1605 Celina Road, Saint Marys, the Reverend Melodi Hagens, officiant. Burial will follow at Resthaven Memory Gardens. Friends may call from 4-7 P.M. Friday at the funeral home, where memorial gifts may be given to Trinity Lutheran Church.